Skip the line! 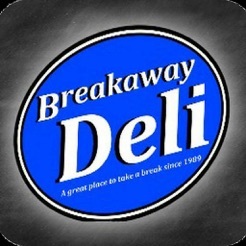 Order a sandwich with ease using the new Breakaway Deli app and we'll have it ready in no time!. Turn on notifications to receive occasional coupons and our newest promotions. And the food is even better! Great app and wonderful food!